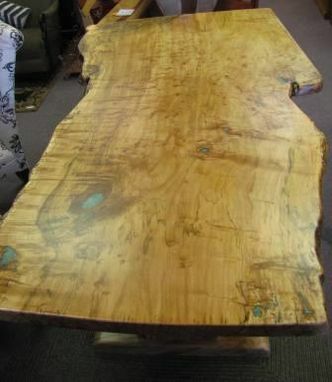 This one-of-a-kind Dining Table was created from a Single Burl Maple slab. Very lively edge! 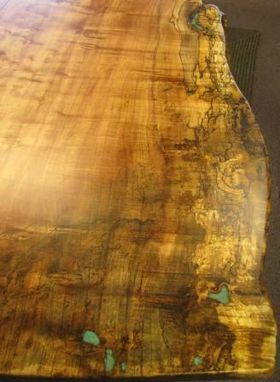 Amazing color, Burl and spalted character. 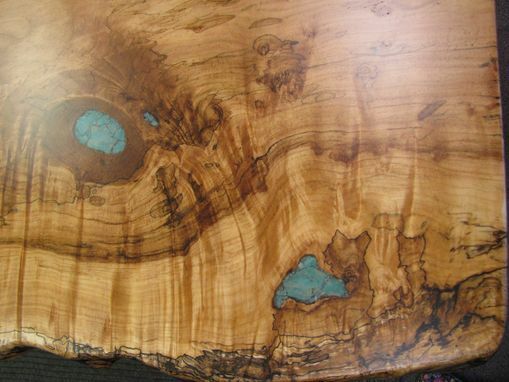 Green turquoise inlays. 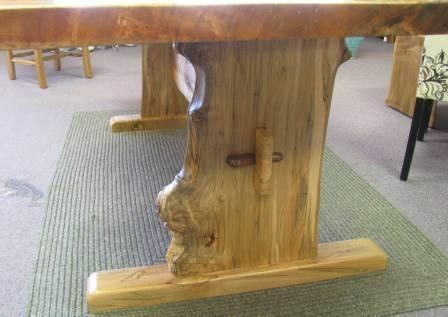 On a live-edge Ambrosia Maple trestle base with Hand-cut Walnut pins. 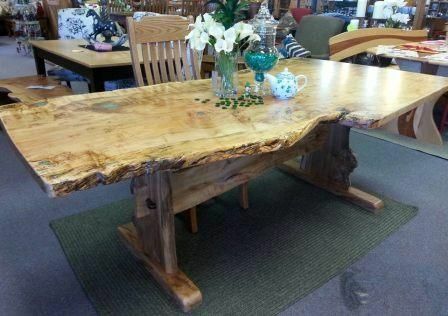 90x45"
This table sold, but we do have two slabs remaining off that log. Very rare!